North Korea is covertly developing and testing nuclear arms and ballistic missiles at civilian facilities in a bid to prevent a "decapitation" military strike against its weapons plants and storage depots, according to a report by a UN panel of experts. Additionally, the Security Council panel stated in the experts' latest report that North Korea engaged in "massive" illegal transfers of oil and coal in violation of sanctions designed to punish Pyongyang for nuclear and missile development. "The nuclear and ballistic missile programs of [North Korea] remain intact and the country continues to defy Security Council resolutions through a massive increase in illegal ship-to-ship transfers of petroleum products and coal," the report, made public this week, said. The missile and nuclear development was part of a denial and deception operation by the Pyongyang regime. 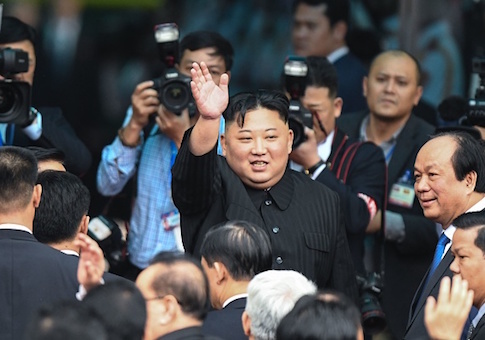 According to the report, the UN learned from a member state in April 2018 that North Korea repeatedly used civilian factories and non-military facilities as nuclear and missile assembly and manufacturing sites. The deception was aimed at avoiding a potential "decapitation" of its weapons and missile sites by precision guided attacks on known military sites. Additionally, North Korea purchased centrifuges for its nuclear program last year, the report said. Disclosure of the report on Tuesday comes amid new reports of increasing North Korean missile and nuclear activities. Commercial satellite images produced by DigitalGlobe showed increased vehicle and rail activity near the Sanumdong missile assembly site. South Korea reports say North Korea has built an underground nuclear facility close to the known Yongbyon nuclear plant. The report is a setback for the Trump administration's bid to negotiate a dismantlement of North Korea's nuclear program. Talks between President Trump and North Korean dictator Kim Jong Un ended with little progress last month after the North Koreans demanded a lifting of sanctions before agreeing to give up its nuclear arms. Trump said on Friday voiced disappointment by the reported increase in North Koran weapons activity. National Security Adviser John Bolton on Sunday said the Trump administration is taking a wait and see approach to the activities. "The president has obviously said he would be very disappointed if that's the direction North Korea were going in, but I don't want to get out in front of the facts we actually know at this point," he said. The State Department said in a statement it takes the allegations of sanctions violations seriously. Secretary of State Mike Pompeo said on Tuesday that sanctions on North Korea's oil and coal imports are important to pressuring the regime. "One of the ways that we’ve convinced North Korea to move towards denuclearization is to reduce the amount of energy that they can import, and those sanctions that the United Nations put in place alongside of us have made a material difference," he said. The evidence of North Korea's use of non-military sites for missile and nuclear activities includes locations that have rail links, roads, and other infrastructure for transporting, assembling and testing weapons. For example, North Korea's Hwasong-15 intercontinental ballistic missile was spotted at the Pyongsong truck factory, known as the March 16th Automotive Plant. The site also included a launch facility. In November, additional intelligence revealed North Korea is developing ICBM bases close to its border with China. "The panel surveyed, confirmed, and reported ballistic missile activity sites and found evidence of a consistent trend on the part of [North Korea] to disperse its assembly, storage and testing locations," the report said. "In addition to the use of civilian facilities, the panel found that [North Korea] used previously idle or sprawling military-industrial sites as launch locations. " The industrial site locations were about six miles from military assembly and storage sites. Test launch sites were identified for the Hwasong-14 at the Panghyon aircraft factory and at a place known as Mupyong-ni. "Pyongyang Sunan International Airport, the country’s largest civil-military airfield, was used for the intermediate range Hwasong-12 launches of 29 August and 15 September 2017," the report said. The panel of experts, led by British coordinator Hugh Griffiths, included seven other experts, including Japanese, Russian, South Korea, and Chinese nationals. The report said the violations on oil and coal transfers "render the latest United Nations sanctions ineffective by flouting the caps on the import of petroleum products and crude oil as well as the coal ban." 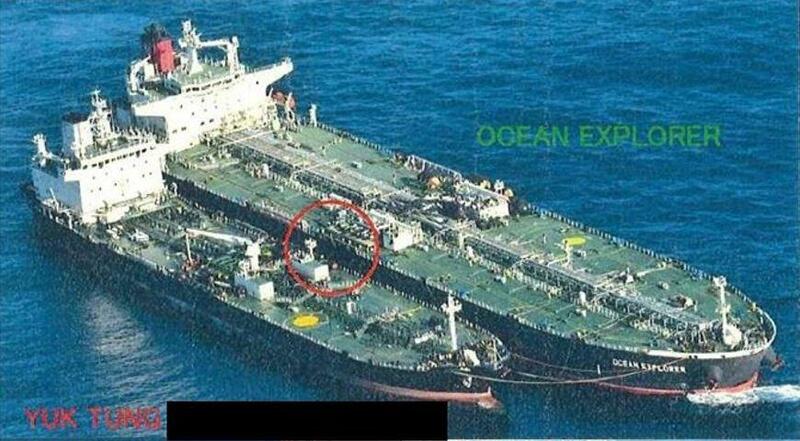 The experts estimated that North Korea was able to covertly procure over 500,000 barrels of refined petroleum in 2018. Many of the illicit transfers involved Chinese vessels and were conducted by Chinese nationals, some of whom were identified in the report. "Global banks and insurance companies continue to unwittingly facilitate payments and provide coverage for vessels involved in ever-larger, multi-million-dollar, illegal ship-to-ship transfers of petroleum products, as well as an increasing number of ship-to-ship coal transfers and attempted transshipments," the report said. North Korea also violated an arms embargo and sold small arms to Houthi rebels in Yemen and to Libya and Sudan through intermediaries, including a Syrian arms dealer known as Hussein al-Ali. 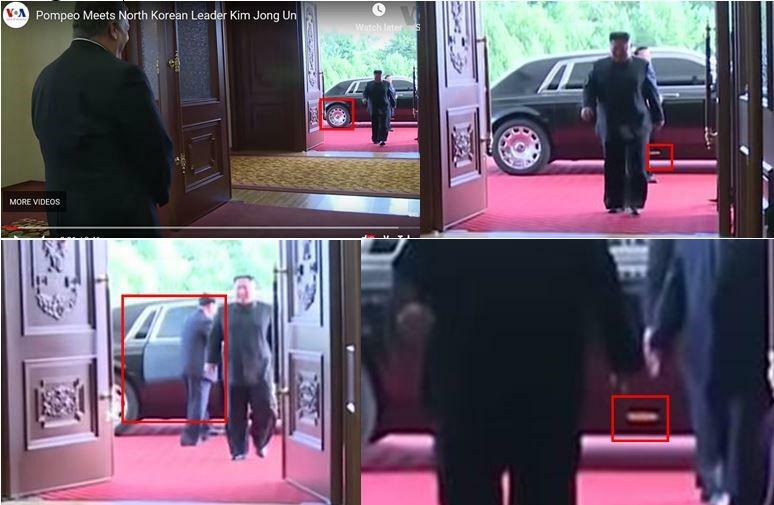 North Korea also bought Rolls Royce, Mercedes-Benz, and Lexus vehicles in violation of sanctions on luxury goods. "Financial sanctions remain some of the most poorly implemented and actively evaded measures of the sanctions regime," the report said. Sophisticated North Korean cyber attacks also were detailed by the panel of experts. Ship-to-ship transfers of goods employed advanced evasion techniques, such as false automated ship tracking spoofing and identity theft for false-flagging of ships. "Other methods of evasion include physical disguise of tankers of [North Korea], the use of small, unregistered vessels, illegal name-changing and other forms of identity fraud, night transfers and the use of additional vessels for transshipment," the report said. The report also uncovered "rampant violations" of sanctions that ranged from illegal oil and coal important to smuggling bulk cash. This entry was posted in National Security and tagged North Korea, Sanctions. Bookmark the permalink.